Steven Guest, MD, attended medical school at Vanderbilt and completed his nephrology fellowship at Massachusetts General Hospital. For 12 years, Dr. Guest served as the PD program director at the Santa Clara Valley Medical Center, which served as the primary PD training site for Stanford’s nephrology training program. Dr. Guest speaks on various PD topics throughout the U.S., and has many publications focused on the clinical aspects of PD therapy. Order this book at Amazon.com. Ari Sytner is an unlikely kidney donor who saved the life of a stranger. After an unexpected year-long journey of exploring kidney donation, Ari became a kidney donor to save a single mother of 3 children. The experience was so inspirational and transformative, that Ari revealed the entire journey in this first ever question and answer book, outlining the 100 questions he struggled with before deciding to proceed with his transplant and give the gift of life. 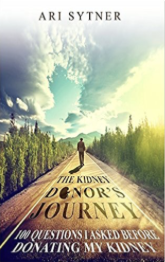 The Kidney Donor's Journey does not try to convince you to donate an organ, rather it walks you through every stage of Ari's process, from researching, struggling and telling his family, to testing, undergoing surgery and recovery. The book inspires readers to weigh the personal and ethical values of kindness and human life, while sharing a moving and uplifting tale of one man's journey to make a difference in the world. One Gently Used Kidney, Free to a Good Home. When 48 year-old single mother, massage therapist and returning student Ellie makes it her mission to help a stranger she has no idea how much it will alter her own life. What starts out as a simple act of altruism turns into four years filled with unpredictable obstacles and beautiful epiphanies she never imagined. 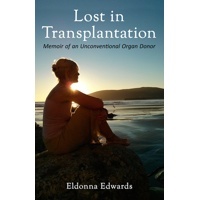 Lost in Transplantation is at times irreverent, inspirational, humorous and heartbreaking; an intimate story told with bold honesty and a lyrical voice that is both earnest and informative. Ellie's life-changing mission to help another human being will keep you turning the pages well into the night. It might even change your life. An excellent resource for helping a child go through the process personally or understand what another family member may be undergoing. This heartwarming story of a youngster’s journey through kidney failure, peritoneal dialysis (PD), and transplantation, was written and illustrated to help kids understand kidney disease and this form of treatment. Printed in Canada. 36 pages; 7.5 x 7.5 inches, softcover, full color. 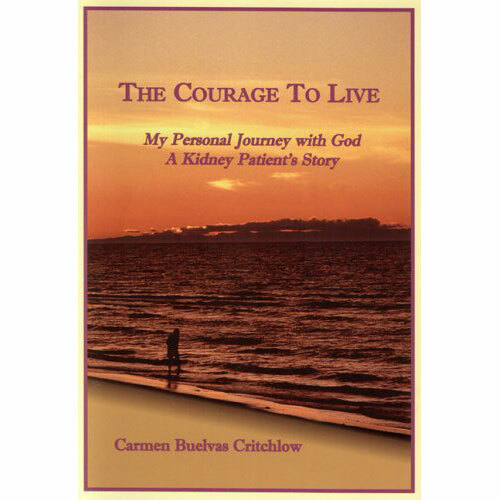 This inspirational book details author Carmen Buelvas Critchlow’s personal journey both as an immigrant from Panama and as a dialysis patient and transplant recipient. It details her physical and emotional battle against kidney disease and describes kidney failure and dialysis in clear, understandable terms. Special attention is paid to organ donation. Finally, it shares how in a powerful way this uninvited "battle" has been transformed into a spiritual journey with God. Order this book at Carmen’s store. 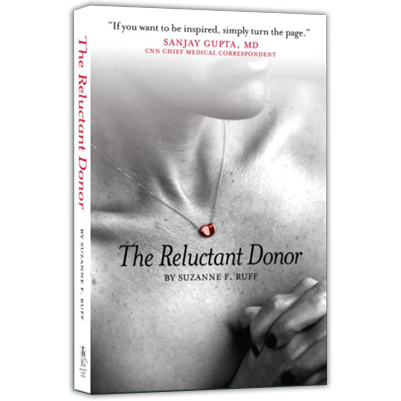 Author Suzanne Ruff comes from a family that has been plagued by kidney disease for generations. In her lifetime, she has lost her mother, several aunts and uncles, and cousins to Polycystic Kidney Disease (PKD), the most common of all life-threatening genetic diseases. Both of her sisters inherited the disease. She did not. When her younger sister fell ill shortly after their mother’s death in 2003, Ruff decided to do something about it. She had always been afraid of doctors and needles, but says with God’s help she found the courage to save JoAnn’s life by donating a kidney. In the months leading up to the surgery, which took place on Oct. 19, 2004, Ruff spent a lot of time journaling, and published a book based on her notes and memories. Her hope is that The Reluctant Donor (Beaver’s Pond Press, April 2010, $14.95) will find its way into the hands of others who are facing a difficult life-and-death decision, and help them find the courage they need to get through it. 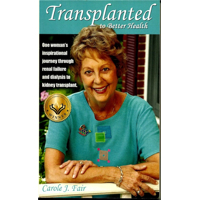 “Transplanted to Better Health” is a poignant and touching story of Carole’s personal journey through kidney disease. 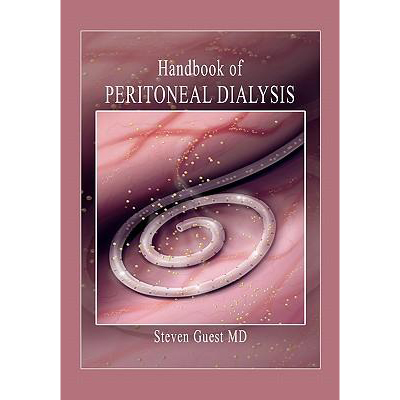 In this memoir, she describes the good and bad days, the ups and downs of dialysis treatment, waiting for a life-saving kidney transplant, and the road to recovery. Never losing faith that there will be better times ahead, she shares just what kept her strong and motivated. 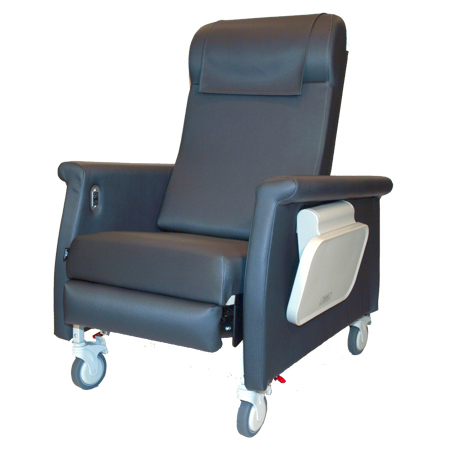 Family members and friends of kidney patients will find a wealth of information. 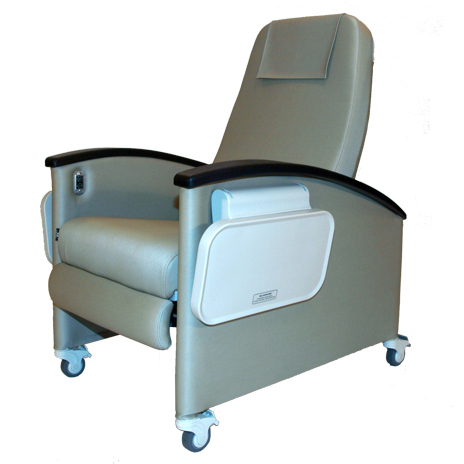 Medical professionals can experience a patient’s innermost thoughts and feelings en route to better health. A must read! This memoir has won two awards - first place in the health category of the Xulon Press Christian Choice Book Awards contest, 2012, and honorable mention in the spiritual category of the New England Book Festival, 2013.